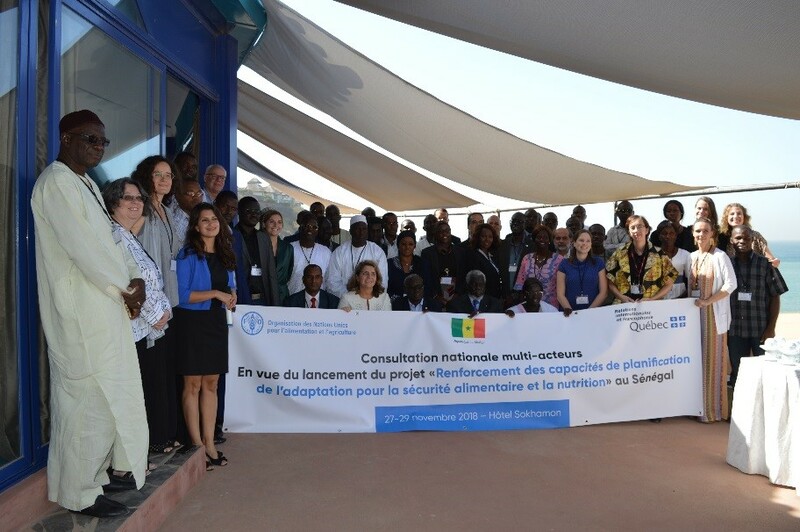 The 27-29 November marked the first national multi-stakeholder consultation, organized by FAO in Senegal, ahead of the launch of the project "Strengthening national adaptation planning capacities for food security and nutrition" funded by the Government of Quebec. The event brought together more than 50 experts and representatives of the public and private sectors, international organizations, academic and research institutions and civil society to discuss the project’s priorities and ensure it will be rooted in local realities. The project is an outcome of the International Symposium on Food Security and Nutrition in the Age of Climate Change that took place in Quebec in September 2017. It embodies both the government of Quebec and FAO’s wish to strengthen their collaboration in the field of climate change. Led by the Climate and Environment division of FAO – in particular by the Mitigation of Climate Change in Agriculture (MICCA) Programme and the FAO-UNDP led Integrating Agriculture into National Adaptation Plans (NAP-Ag) Programme – this very first global Quebec-FAO collaboration project (USD 5 million) aims at strengthening the climate change adaptation capacities of two francophone countries, Senegal and Haiti. The project will combine FAO’s field expertise and capacity for coordination at the global level, together with expertise from Québec stakeholders, especially International Cooperation Organizations (ICOs), two universities (Laval and Mc Gill) and the Research Consortium Ouranos, all working in close collaboration with Senegalese partners. 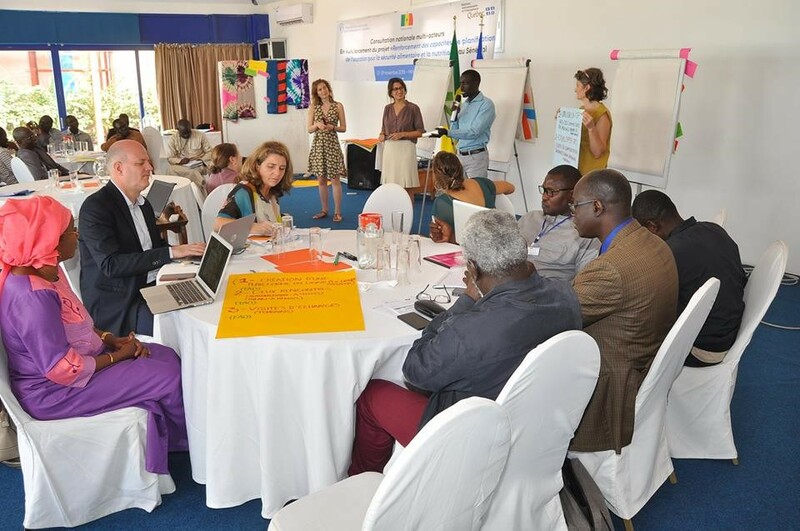 In Senegal, the project aligns with the recent opening of the Délégation générale du Québec in Dakar and the establishment in 2017 of a Community of Practice on Resilience to Climate Change for Food Security and Nutrition in Senegal (composed of the FAO office in Senegal and six ICOs from Quebec working in the country). The project is expected to be operational by the beginning of 2019. With lively exchanges, working group sessions and interactive activities, these three days of consultation allowed all actors to discuss and agree on the activities to be implemented for each component of the project, in line with local realities and needs. It was also an opportunity to find synergies and possible collaborations with ongoing projects in the country and other local, national, regional and global initiatives on climate change adaptation. Among the participants were: the Government of Senegal, represented by various ministries, the Senegalese Institute of Agricultural Research (ISRA), the Center for Environmental Monitoring (CSE), the Department of Environment and Classified Establishments (DEEC), the National Committee on Climate Change (COMNAC); Senegalese universities (eg Sheik Anta Diop University, Gaston Berger of St. Louis, Ziguinchor, etc. ), Senegalese civil society organizations (eg Enda Pronat); FAO Senegal and Headquarters; as well as the International Cooperation Organizations (OIC) of Quebec, the Universities of Quebec (Laval and McGill) and the Ouranos research consortium, and all of their Senegalese partners. Following this consultation, the project is planned to be launched in early 2019.